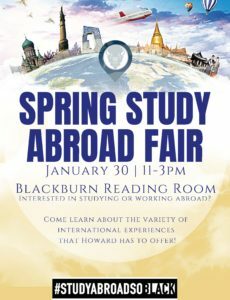 Spring Study Abroad Application Opening – January 14! 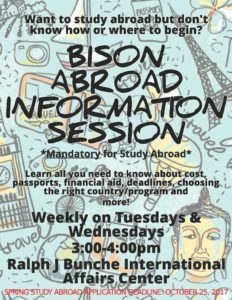 Study Abroad Information Sessions Begin!- Feb. 5th, 3-4 pm, RBC. 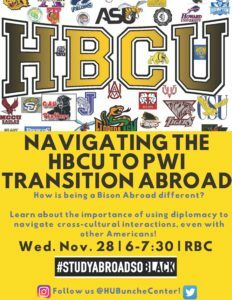 Welcome Back Bison Abroad Mixer– Feb. 6, 5- 6:30 pm, RBC. 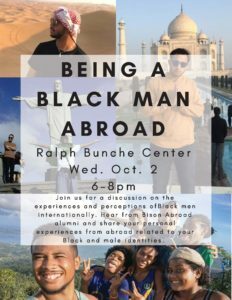 This is a special event for all Bison who studied abroad during the fall 2018 semester. 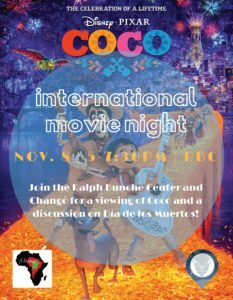 International Appetizers provided! 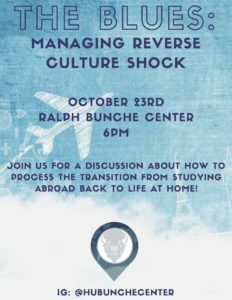 *NEW* Managing Reverse Culture Shock after studying abroad, Thursday, Feb. 21 12-2pm, RBC. 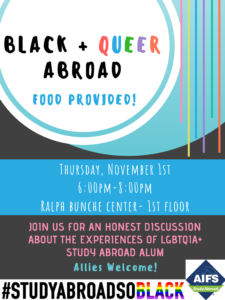 This is a group discussion for any student who has returned from studying abroad an would like to talk about their re-adjustment process over lunch a bag lunch. 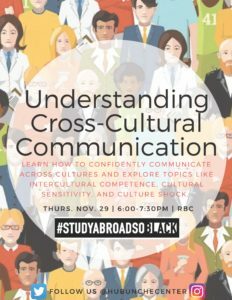 Post-Study Abroad Night of Reflection Event- Feb. 26, 6-8:00 pm, RBC. 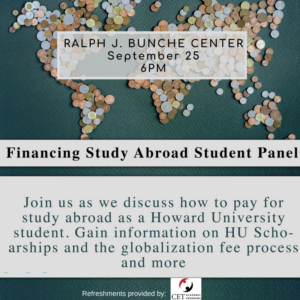 SUMMER & FALL STUDY ABROAD APPLICATIONS CLOSE ON MARCH 18th. 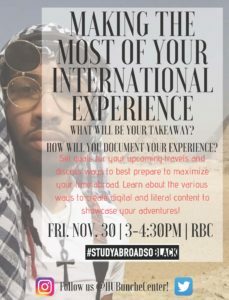 How to Formally Discuss the Study Abroad Experience– March 19, 4-6pm, RBC. 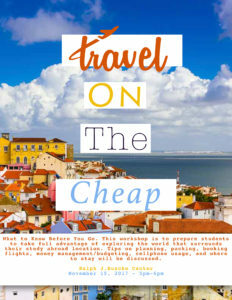 Black Travel Writing: Then and Now, Mar. 20, 5-7:00 pm, RBC. 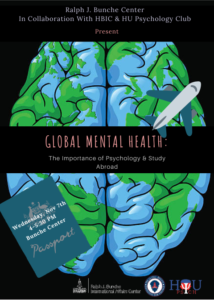 *NEW* Managing Reverse Culture Shock after studying abroad, Thursday, Mar. 21 12-2pm, RBC. Black Hair on the Go! April 3, 5:30-7:00pm, RBC. 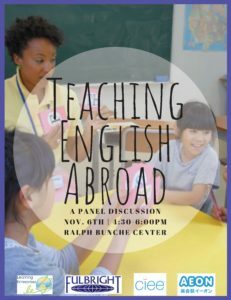 How to Teaching English Abroad Workshop, April 10, 3-4pm, RBC. 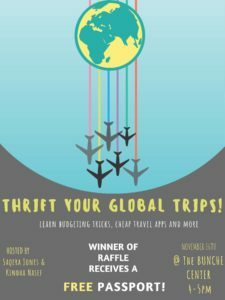 Mindful Travelers Workshop Series- April 15-19th, 5:30-6:30pm/ 3:00-4:30 on Friday, RBC. 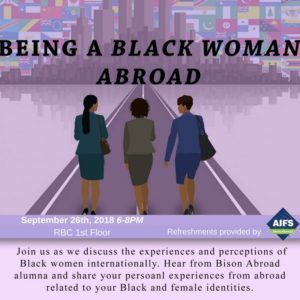 Tuesday: Are you an Afropolitan? 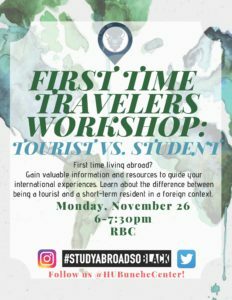 Summer/Fall 2019 Pre-Departure Orientations– April 20th, 9-12pm, RBC.